Blog 62: Improve Lives. Strengthen Community. 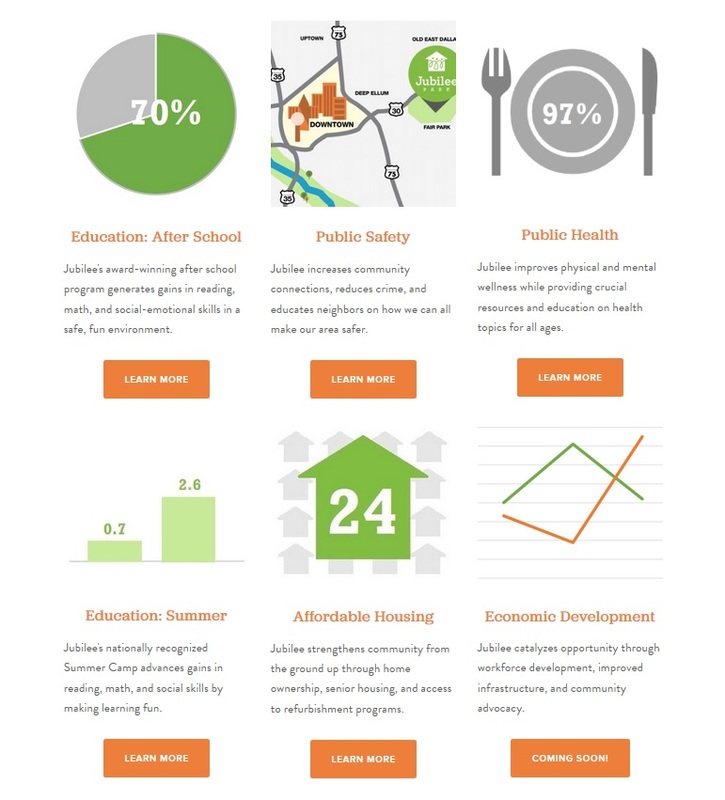 Did you know Jubilee Park has a data dashboard where it regularly shares the impact of its programs? Well, we do! You don't need a knack for numbers to see how Jubilee makes a difference-- check out our Data Dashboard to read about our goals, strengths, challenges, and growth! 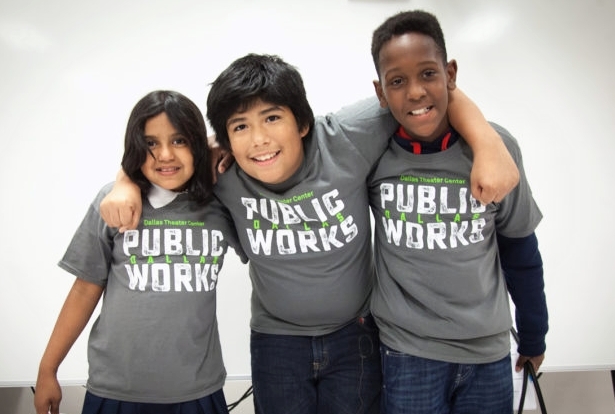 It's an easy, quick way to see the impact of Jubilee's work by focus area-- public safety, public health, affordable housing, economic development, and education (both summer and afterschool). A lot of our friends share their results just once a year, but we want Jubilee's work to be transparent, accessible, and public all year long! Data tells us where we've been and where we are going, helps identify needs and find solutions, and holds us accountable. We've got a deeper dive planned to tell you more about our data-driven solutions and the importance of data at Jubilee. Until then, click here to explore the dashboard for yourself! Behind any of our awards, recognition, or news coverage is a community full of willing hearts, a corps of caring hands, and a lot of hard work. Here's a look back at some of the accomplishments spotlighted in 2017! 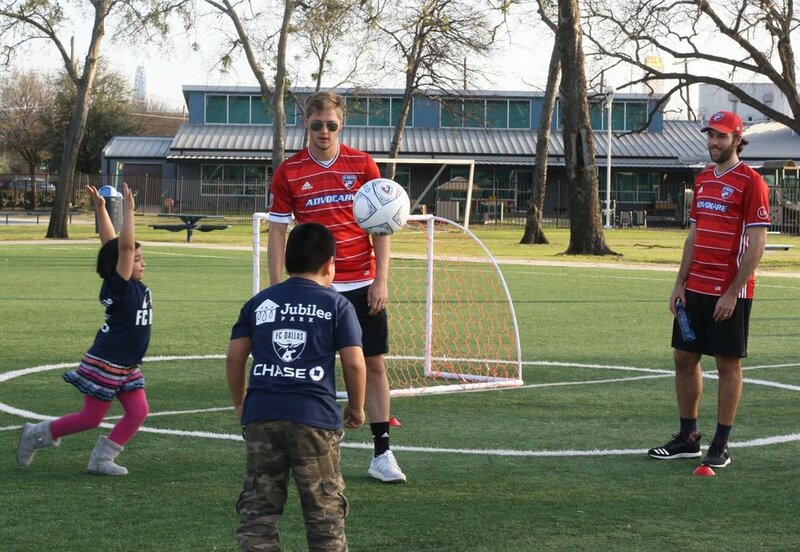 FC Dallas players Walker Zimmerman, Victor Ulloa, Ryan Hollingshead and Kellyn Acosta played soccer with 200 Jubilee students, unveiling thousands of dollars' worth of gear donated by Chase. Jubilee's 20th Anniversary Gala Honorary Co-Chairs Peggy and Mark Anschutz with Chairs Lydia and Bill Addy joined current Board Chair Jeff Rice, past Board Chair Tom Harbison, CEO Ben Leal, and founding Board Chair Walt Humann at the Sponsor Soiree hosted by Monica and Joe Eastin. Jubilee hosted a Back to School Bash with Saint Michael & All Angels and AT&T, including a visit from the mobile Dallas Cowboys Hall of Fame, the Mavs Dancers and ManiAACs, and virtual reality soccer games by 300lbs of Creative! (09/14/2017). Want to stay in the know about Jubilee year-round? Follow us on social media and subscribe to our newsletter! Sign up with your email address to receive news and updates from Jubilee. We respect your privacy, and won’t share your information with anyone else. If you change your mind in the future, it’s easy to unsubscribe. Thank you! We’re excited to share all the Jubilee happenings with you. Welcome to Blog 62, named after the 62-block area of Jubilee Park. Our hope in starting a blog is to provide stories, updates and articles that give you a holistic picture of Jubilee's important work in Southeast Dallas and beyond. Here you will find insights from the Jubilee Team, our neighbors, our volunteers and our donors, in hopes that you will find your place and passion here at Jubilee. Jubilee is already a trusted resource to hundreds of families as we work to improve lives and strengthen community. For our broader audience of engaged citizens, Blog 62 will offer a window into the triumphs and challenges of our ever-changing city. We thank you for being part of the Jubilee family, and hope you'll share your stories too.